A review of Representations of the Peruvian Agrarian Reform, 1968–1975, by Anna Cant. More than four decades on, the Peruvian agrarian reform of 1969 remains a point of strong contention in the country itself – as does the regime that carried it out, the military dictatorship of Juan Velasco Alvarado. Hailed by some as having finally brought an end to a feudal system that had long oppressed the rural population, the Velasco reform has been assailed by others for supposedly leaving the Peruvian economy in ruins. Anna Cant’s dissertation looks at the debates surrounding the agrarian reform, and at its impact on regional politics, education and the mass media. She argues that it “was consistently understood as a question of major social change rather than agricultural productivity,” and that, despite its many failings in the economic sphere, it had far-reaching and positive political consequences: in its wake, Peru’s peasants “were for the first time both important agents and objects of national politics” (Summary; p. 2). The result was a lasting transformation in terms of national identity, political participation and citizenship. After staking out her position relative to the existing literature, Cant devotes a first chapter to the history of the land question in Peru, from the colonial era through to the 1960s. She notes in particular the emergence of huge inequalities in ownership of and access to land, and the various stances on the land question that were adopted over time by different actors: political parties, governments, and peasants themselves. 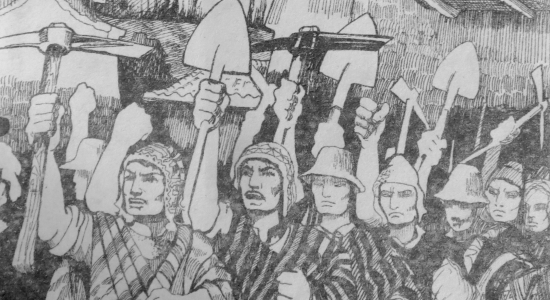 By the 1960s a broad consensus in favor of agrarian reform had nonetheless developed, resulting in a series of partial measures early in the decade, and then the more far-reaching reform of 1969. Cant’s second chapter looks at the implementation of the agrarian reform at the regional level, taking the cases of Cuzco, Tacna and Piura. These regions differ hugely in terms of their physical geography, climate, economic base, demographic make-up and political traditions. The comparisons allow her to map out the Velasco government’s attempts – not always successful – to build local alliances and adapt its program to regional realities; in her view these suggest a degree of tactical flexibility with which the regime has not often been credited. She devotes particular attention to its attempts of mobilizing popular support for its program. Many Peruvian critics have dismissed such efforts as empty propaganda, merely designed to provide populist cover for policies the military intended to carry out anyway. Cant argues that they need to be taken seriously, and that the Velasco government on some level did genuinely intend to foster a profound change not only in material conditions but also in social consciousness. To that end, it forged new structures for popular participation – foremost among them being SINAMOS, the Sistema Nacional de Apoyo a la Movilización Social (whose acronym also handily translated as “without masters”). In that sense the Velasco regime was attempting not simply to carry out a set of policies, but to construct a broader political hegemony in rural areas. Yet as Cant observes in her conclusion, the land reform “is not a closed chapter in Peru’s history.” (p. 268) Many of the issues that it raised remain pressing to this day, as do the political fractures that appeared in its wake. Examining Peru’s land reform, she argues, allows us to shed light on several specific aspects of recent Peruvian history. But her arguments also relate to broader questions – notably our understanding of Latin America’s democratic “transitions,” which are often framed in terms of human-rights agendas promoted at a transnational level. Cant’s thesis ends by arguing that the forms of popular participation encouraged by the agrarian reform constituted an important, highly concrete and localized experience of democratic practice for hundreds of thousands of ordinary Peruvians. Cant’s dissertation builds on reassessments of the Velasco era such as Enrique Mayer’s Ugly Stories of the Peruvian Agrarian Reform (New Haven: Yale University Press 2009). As she herself notes, documentary sources on this period are often dispersed, fragmentary or even non-existent; Cant has made deft use of many other kinds of material, from propaganda posters and documentaries to newspapers and oral interviews. In that sense it is an important contribution to our understanding of a period in Peruvian history that remains relatively under-explored. But its argument for the political impact of the reform will also be of wider interest, above all to scholars working on the complex relationship between states and citizens, on the transformative role of education and media, and on the origins and effects of popular participation. University of Cambridge. 2015. 268 pp. Primary Advisor: Gabriela Ramos. Image: Pamphlet of the Sistema Nacional de Movilización Social – SINAMOS, ca. 1973, private archive.